This year the winter solstice for the Central European time zone falls on 21 December (although it took place on 22 December in 2015). During the winter solstice in these parts the sun rises late, achieves the lowest noon elevation and then already disappears below the horizon in the afternoon. It is the longest night of the year. Modern, clever LED lamps that can do more than just create attractive light help to bridge such dark days especially well. Thanks to the electronics in LED lamps, the current models offered by Ledvance, a wholly-owned subsidiary of Osram, feature a variety of useful supplementary functions such as different color temperatures, integrated dimming levels and convenient sensor control. Compared with traditional lighting technologies these LED lamps save up to 90 percent in energy, and according to type, achieve up to 15,000 or 25,000 hours rated service life. All these lamps were designed for the quick and simple replacement of standard ‘pear-shaped’ bulbs and spotlights: these traditional light sources are simply swapped, the additional functions being permanently integrated in the new lamps. These therefore enable the creation of various light atmospheres without making any modifications to the installation, and with one and the same lamp. “Osram Relax & Active” in this way optionally creates the right light situation for relaxation or work. By varying the number of switching operations (i.e. clicks) with the light switch, users can select between warm white (2,700 Kelvin) or cooler neutral white (4,000 Kelvin): Switching once makes the lamp illuminate with more relaxing light and switching twice in a short period (a double click) lights with more activating light. Relax & Active lamps are available as Classic A (pear-shaped) and PAR16 (spotlight). The “Osram Duo Click Dim” generates subdued light with a double click via its permanently integrated dimming level: Switching once makes it radiate 100 percent brightness with warm white light and two clicks within a short period mutes the light silently down to 40 percent brightness with an unchanged 2,700 Kelvin. This makes these lamps ideal for applications with no suitable dimmer but where users still wish to have the option of reducing brightness, because dimmed light can significantly improve the atmosphere for both living and work purposes. Duo Click models are also available in pear-shaped form and as spotlights. The Glow-Dim models go a step further. These light sources influence with traditional dimmers not only the brightness but also color temperature: The more the Glow-Dim lamps are dimmed the warmer their light color becomes. To simulate this light effect so popular with light bulbs, variously colored LEDs are used, generating light that is then mixed according to the dim setting. As a result, the color temperature is modified in parallel to brightness and steplessly from warm white (2,700 Kelvin) to extra warm white (1,900 Kelvin). Ledvance now offers an extensive assortment of these Glow-Dim models to enable simple replacements in the most common applications and combinations. 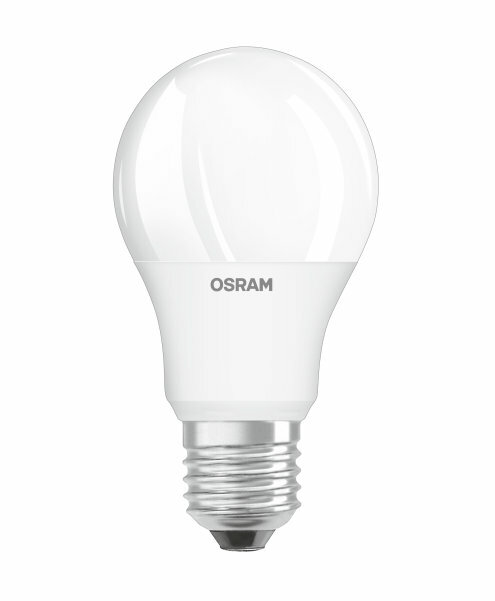 For dimmer compatibility lists, see www.Osram-Lamps.com/dim. The “Daylight Sensor” model with integrated daylight sensor provides energy-saving lighting during darkness and switches off automatically as soon as artificial light is no longer needed. 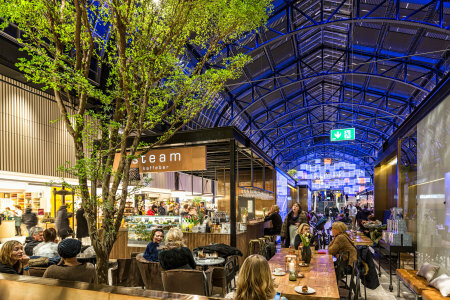 In this way, all locations to be illuminated during darkness can be sus-tainably lit without any additional installations and with comparably low electricity costs. These lamps therefore automatically achieve a greater feeling of security, and are available as 40 watt and 60 watt replacements with warm white (2,700 Kelvin) and up to 25,000 hours of rated service life.